Bill started working on Outside Broadcasts in 1969 having completed 4 months of training at Evesham the previous year. Narrowly missing out working on Type I colour scanners (as outside broadcast trucks were known), Bill was first attached to London 5 in 1971, as Technical Assistant, the junior member of an OBs engineering team. For the ADAPT project, Bill was reunited with London 5, which was renamed North 3 once it transferred base to Manchester. Within an OB crew, the engineering team consisted of a supervisor, a vision engineer for every two cameras, a systems engineer, one maintenance engineer, and a technical assistant to help with general engineering issues and receive training. This engineering team was primarily responsible for keeping the cameras operational before and during transmission. They often found themselves fixing equipment and solving issues for the sound department as the engineering crew was responsible for all the technical systems throughout the whole OB structure. 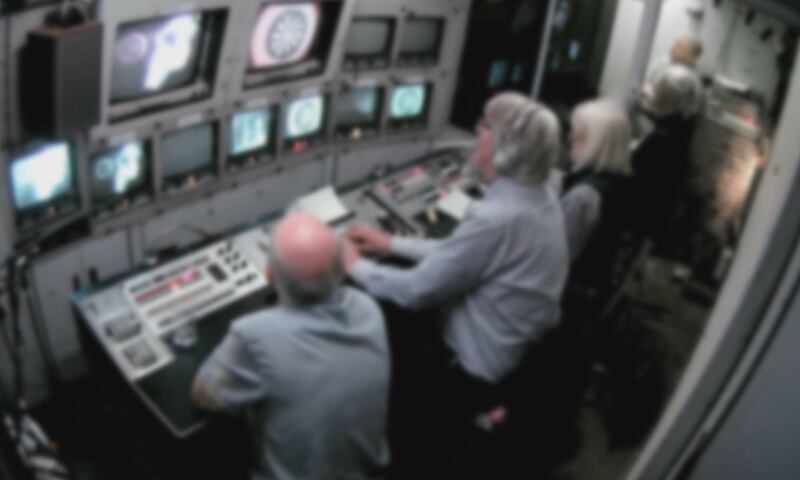 Bill worked soon went on to become a vision engineer in outside broadcasts during which time he covered challenging events such as Wimbledon, the Proms in 1975, and the Queen’s Silver Jubilee in 1977. Bill remembers a particular challenge of working as a vision engineer was the constant, and unavoidable, lighting changes that occurred when working outdoors. As a vision engineer, Bill was responsible for monitoring and adjusting the exposure of two cameras at any given time. Unlike the studio, where lighting can be carefully controlled, the changing light of live outside television made this a difficult and skilful task to complete. Bill remembers this causing particular issues with football coverage, as half the pitch would be covered by the shadow of the stands whilst the over half could be basked in sunshine. As such, unbeknown to the viewers at home, vision engineers worked tirelessly throughout the entire match remotely adjusting the exposure so that the action remained visible at all times. Perhaps controversially, Bill recalls that, from the perspective of a vision engineer, the Pye PC80 was actually able to deliver better pictures than its replacement, the EMI 2001. Whilst the EMI 2001 would produce very acceptable pictures relatively easily, Bill remembers that, with critical alignment, the Pye could be even better. However, regardless of the camera being used, working on an OB was often an exercise in compromise. With the complex electronics being so prone to breaking down, Bill remembers that many of the technical decisions being made were often based on what was “the least worst scenario”.